Prolonged tensile strength retention in the tissues. 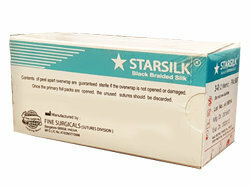 The use of Fine Starsilk sutures should be avoided in infected tissues. 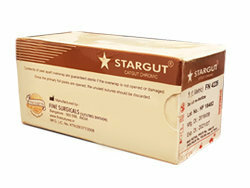 The use of these sutures is not indicated for biliary and urinary tract surgeries. 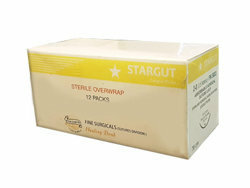 These sutures are indicated to be used in general soft tissue surgery, cardiovascular surgery, ophthalmology procedures, urology procedures, plastic surgeries, orthopedic surgery and bowel anastomosis ligation. 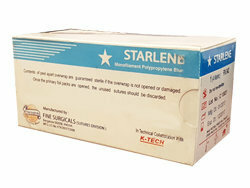 These sutures are manufactured in the USP 6-0 to USP 2 diameters and the sterilization is done by ethylene oxide (ETO). Smart Medical Buyer has superior sourcing for sutures in all fields of surgery including obstetrics and gynecology, cardiovascular surgery, ophthalmology, urology, plastic surgery and orthopedics. 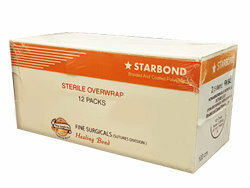 Smart Medical Buyer has a range of absorbable and non-absorbable sutures, synthetic and natural sutures, coated and uncoated sutures and monofilament and multifilament sutures available on one platform for you to compare and choose from. 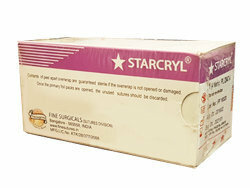 The easy search and ordering process and quick turnaround times ensure a smooth and seamless experience. Smart Medical Buyer’s range of surgical sutures includes those from Fine Surgicals, Covidien, Ethicon Sutures and Sutures India. . SMB offers the most attractive prices online for sutures in India. 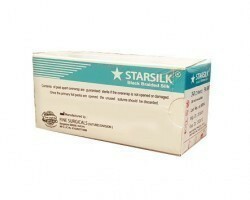 Sutures are regulated products in India and are available for sale on SMB to Indian registered medical professionals and healthcare provider establishments only on the completion of our KYC (know your customer) process.